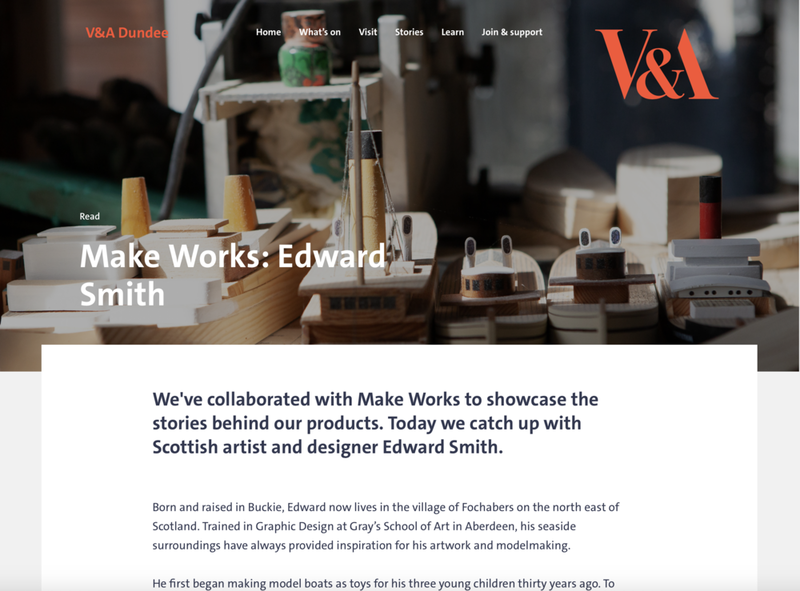 We are so proud to have worked with V&A Dundee and Make Works on content to showcase a selection of extraordinary collaborations >WW< have worked on for the V&A Dundee Shop. For the last year, the team have selected, photographed and filmed five extraordinary Scottish makers! Here is the first feature launched in December, watch this space for more!